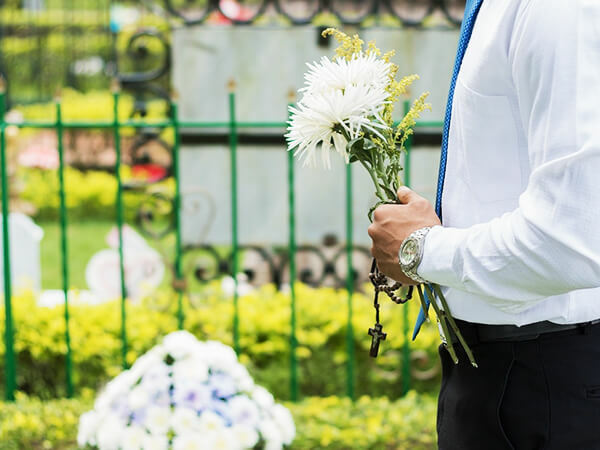 The caring and experienced professionals at Bauman Family Funeral Homes are here to support you through this difficult time. We offer a range of personalized services to suit your family’s wishes and requirements. You can count on us to help you plan a personal, lasting tribute to your loved one. And we’ll carefully guide you through the many decisions that must be made during this challenging time. Bauman Family Funeral Homes has a long tradition of serving the Iron Range of Minnesota. This group of privately owned Funeral Service Providers is the life ambition of Bill Bauman. The Cron Funeral Home was started in 1917 by Edward 0. Cron. In 1936, Mr. Cron opened the Cron & Leiding Funeral Home in Cook. Edward J. "Pud" Cron joined the business in 1945 and purchased the business in 1946. Within a year , Ralph Nelson joined the firm and they opened the Cron-Nelson Chapel in Eveleth. Roy Harris joined the firm and it was renamed: Cron-Nelson-Harris. In 1968, Ed sold his share of business to Roy Harris and John Clarke; and in 1969, Ralph also sold to the partnership which formed the Cron-Harris-Clarke Funeral Homes. C-H-C continued in operation until its sale to the Williams Family of St. Cloud in 1982. Bill started at Cron Funeral Home in 1983 and along with is wife Jeannine, purchased the business in 1987 and it was renamed Bauman-Cron Funeral Home. Northern Minnesota Cremation Service was started in 1980 in the Cron Funeral Home. It is the area's premier cremation provider, complying with the nation's strictest crematory standards and is the Iron Range's only funeral home operated crematory. In 1994, the Bauman's opened Bauman's Vermilion Funeral Home in Tower. This restored local funeral service to the Tower area after a 30 year absence. This stand alone facility is located on Tower's Main street and is a welcomed addition to the area. Ryder Undertaking and Furniture in North Hibbing was founded in 1898 by Mr. William T. Ryder. As North Hibbing was moved in its entirety because of expanding mining operations, Ryder Funeral Home relocated to its current location. Mr. Ryder's son-in-law: "Red" Johnson purchased the Funeral Home and renamed it Johnson-Ryder Funeral Home. Jim Daniels purchased the funeral home from the Johnson family in 1974 and renamed it Daniels Funeral Home. The Daniels Funeral Home, was purchased by the Baumans in the Fall of 1998. Greg Anderson was named the managing director; and the firm was renamed Anderson-Daniels Funeral Home.